It’s been busy! The final two weeks of build season were a whirl of planning, long hours, teamwork, dedication, and some BEAST fun. The business team stayed at Brookfield East until just before 1 am to finish the necessary award submissions for this year. Then the programmers had a couple of late nights finishing the code for both the autonomous and tele-op portions of the match. The mechanical/electrical teams stayed late with the programmers in order to work together and iron out any leftover errors, miscalculations, or other miscellaneous bugs in the bot and the code. Then…FINALLY…INDIANA! On March 6th the team traveled to Terre Haute, Indiana for the first regional of the year – hopping on the bus at a bright and early at 5am. It was a six hour drive filled with sleepy engineers and Subway. Finally, we arrived at the Rose Hulman Institute to set up our pit and prepare our bot for Crossroads! We did some scouting and the rookie members learned all about the competition, awards, and experienced the other FIRST teams in our natural habitat. That night we went swimming and prepared to scout, drive, and maintain our robot. We double checked that we had all of the necessary supplies and that our scouting team was well debriefed to work together and get the stats for the robots. Friday and Saturday sped by quickly. Friday’s qualifying matches were fun to watch and we got an idea for which teams to watch for and what strategies we would apply to score the most points in matches. Our hard work paid off really well in the end. Saturday, we were ranked #9 out of 45 teams and got to choose our own alliance to compete with in the finals of Crossroads as the 6th seed alliance. Our alliance was defeated in the first round of the Finals but we still were quite proud of our performance. The final achievement we got was the Judges’ Award. 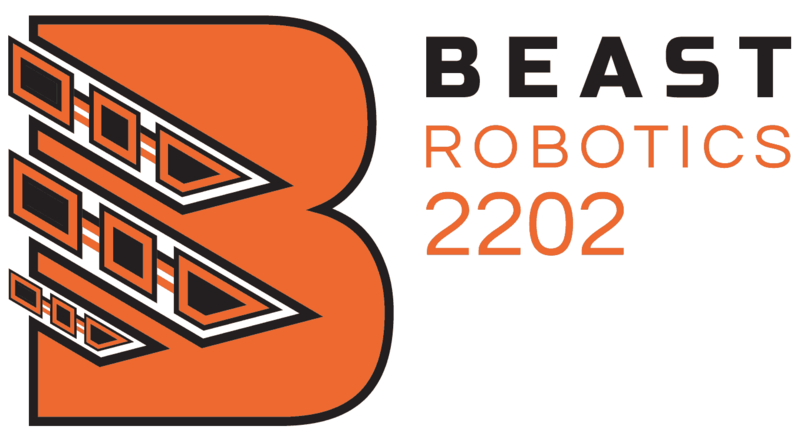 It recognized our efforts in outreach for BEAST Robotics to our community and working to make the Engineering field more diverse and involving women. In the end, our experience at Crossroads showed us that our robot and team has amazing potential. It encourages us and gives us a sense of empowerment as we look towards the Milwaukee regional this weekend (March 20th to 22nd). We’re excited to see everyone who comes out to cheer us on this weekend! The competition will be held in the US Cellular Arena this Thursday, Friday, and Saturday – competition matches on Friday and Saturday from 8:30-5. We feel it is going to be a very exciting and surprise-filled regional!